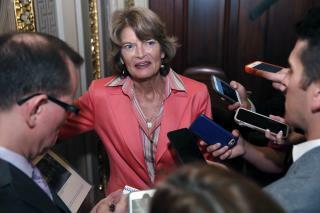 Senator Murkowski is the only republican senator with a pair of b----. She is great, you go girl, love ya !!!!!!!! She will most likely be the only Republican Senator who won't have to worry about his/her re-election bid.